Mark Lawrence: Prince of Thorns ... in China! I never imagined my work would appear in Chinese. But it's going to be! 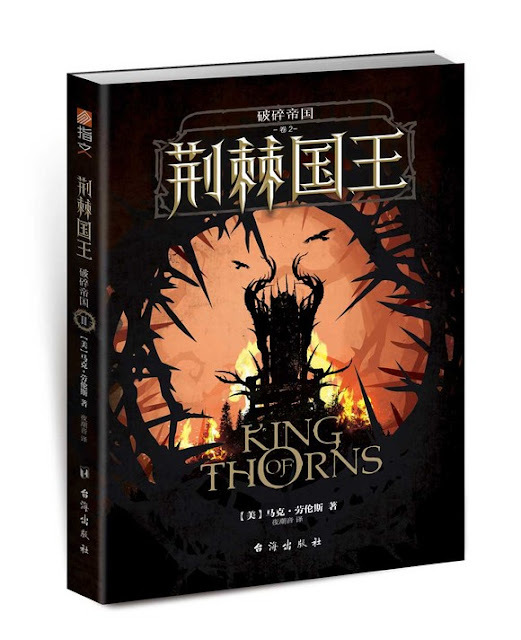 Published by ChongQing Foresight Information, no less! 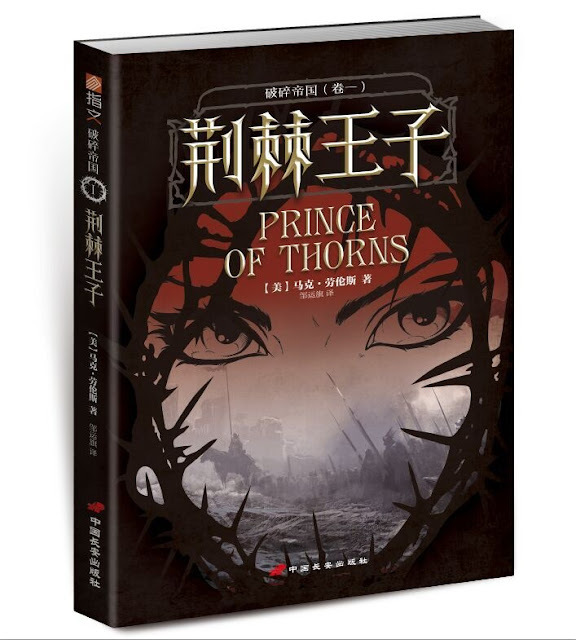 Here's the cover for Prince of Thorns. 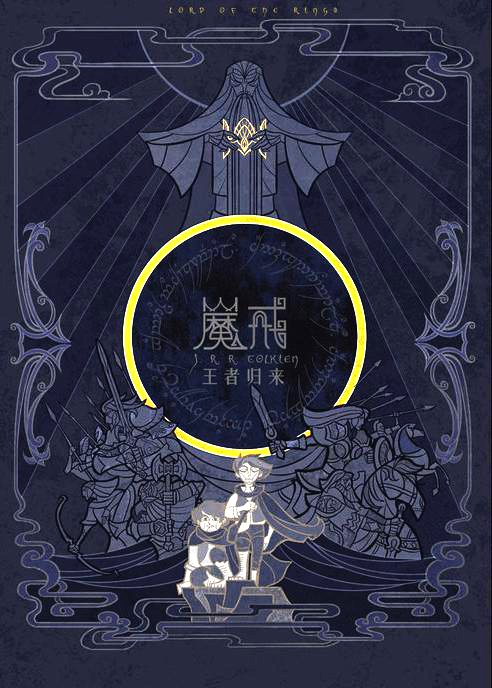 I really like the cover. 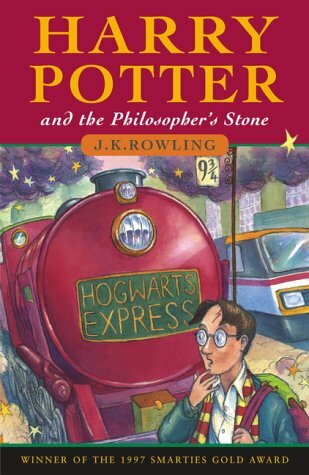 It emphasizes that this is a character-driven book, as much about the mind of our protagonist as about what he does. 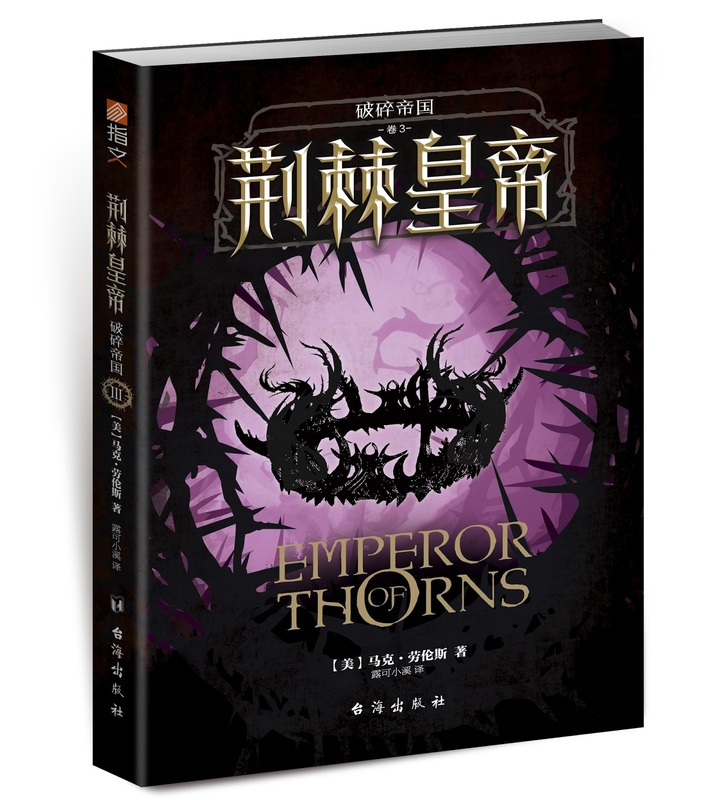 It would be great to find a site that matched Chinese fantasy covers to their UK/US counterparts. Without the English script it's hard to know what you're looking at. Looks like the illustrator of the Harry Potter cover has never seen a dog, and thinks they look like lions. Maybe they thought "foo dog"? That's cool. 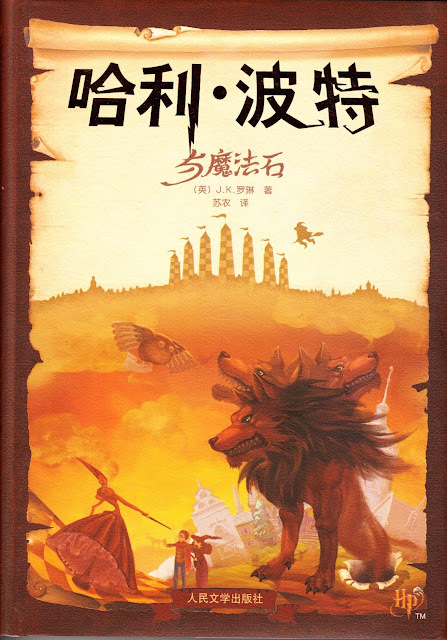 The Japanese cover art of Western fantasy is also pretty awesome. 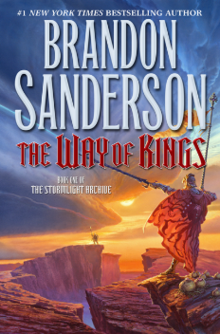 Especially alot of the covers of Gene Wolfe's work. Now Jorg can teach people in China about the dangers of unkept brambles. Really I don't know what it is about those Western versions, but they seem so plain by comparison--maybe with the exception of Way of Kings--I don't think it has much to do with a difference in culture. Just a difference in vibrancy. I mean, those certainly would catch my eye in a book store. 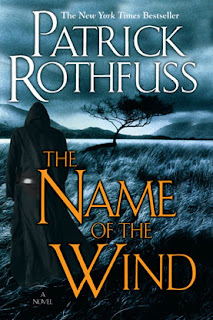 Maybe it's the difference of approach in the publishing houses. 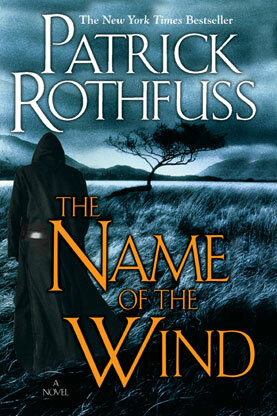 Many "western" publishing houses use stock photos for covers as they are way cheaper than the fully illustrated covers. 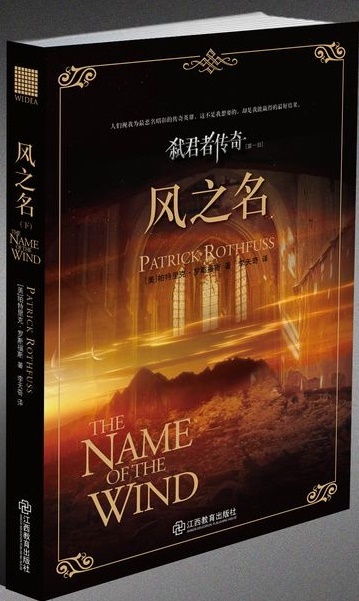 It's a shame though, the Chinese covers look beautiful! 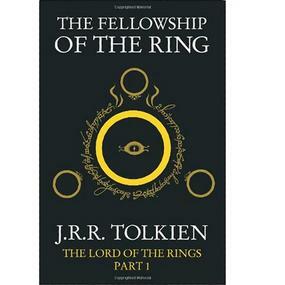 Not the Fellowship of the Ring. 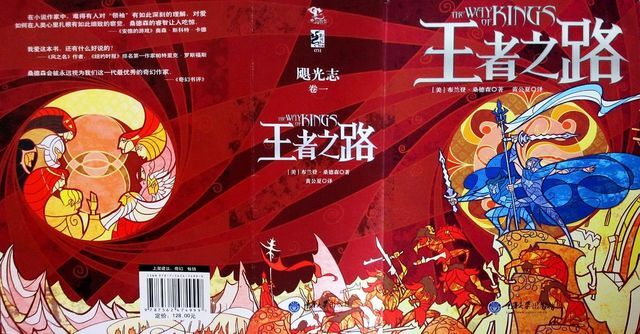 '王者归来' is the Return of the King.